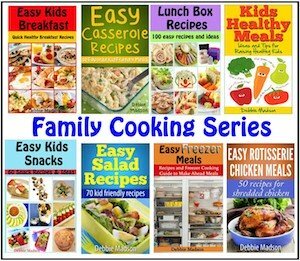 Easy kids meals, main dish recipes with 6 or fewer ingredients. However these kids cooking recipes are also great for quick easy meal ideas that your kids can help with. As stated before these recipes were composed with 7-11 year olds in mind so you may need to adjust the recipe directions as needed. Mix all ingredients together and simmer 15-20 minutes. 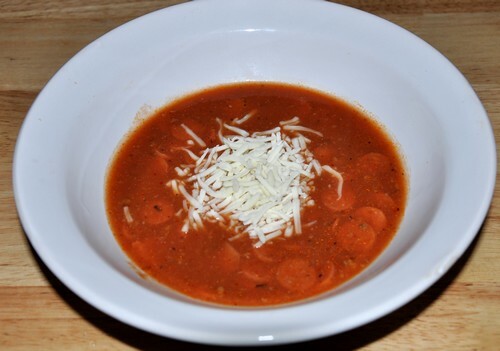 This soup is great served with breadsticks or French bread. Have adult cook spaghetti and set aside. In bowl beat eggs, then add Parmesan cheese, and spaghetti noodles. Stir to combine. 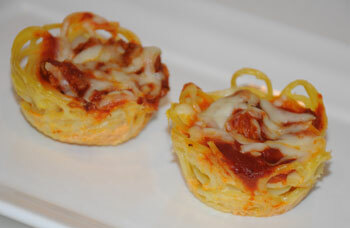 Grease muffin tins and press noodles into muffin cups. Top each with sauce and mozzarella cheese. Have adult bake 15 minutes at 375 degrees. This is a great easy kids meal as they can even decorate the tops of their "cupcakes" with sliced olives, mushrooms or green peppers. Have adult cook and brown hamburger. Child can toss all ingredients together in crock pot. Stir. Cook on low 6-8 hours or simmer on stove in saucepan for 15 minutes. 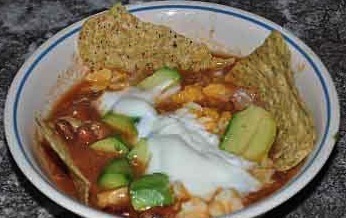 You can serve this soup with tortilla chips, sour cream and shredded cheese if desired. 1 Tablespoon onion soup mix or desired amount -can also used different varieties of Lipton soup mix like Mushroom beef, Onion beef, etc. Mix altogether and form into patties. Have adult grill. Place beef roast in crock pot and cook for 4-6 hours on high or have adult bake in oven for 30 minutes-1 hour until done. Allow to cool. Shred meat with two forks or use your fingers. Make sure meat is cool enough to handle. 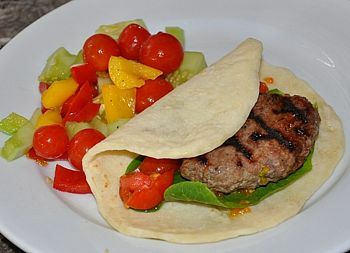 Use shredded beef in place of hamburger in tacos. In a bowl, add soy sauce, juice, sugar, vegetable oil, ginger and garlic. Stir together and pour into Ziploc plastic bag. Add chicken breasts to bag and zip tight. Place bag on plate and chill in refrigerator several hours. Have adult bake or grill. Serve with rice. 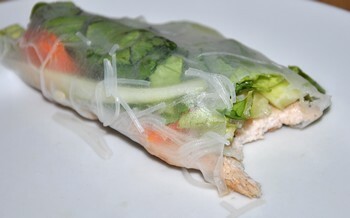 Make an easy meal with spring rolls. Blend meat and seasonings together in bowl. Mix together until well combined. Form into long oval shaped patties. Grill or bake. Add to a pita or tortilla. Top with lettuce, tomato, onion slices or/and the yogurt dressing above. Place chicken breasts in casserole dish. Pour cream of mushroom soup over the top of chicken spreading around to coat. Sprinkle with peas or broccoli. Adult should bake for 35-40 minutes at 375 degrees. Sprinkle with cheddar cheese and bake until cheese is melted. Serve with rice or noodles. 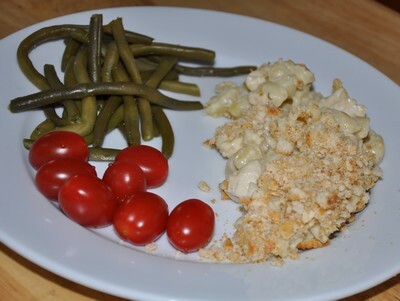 Find more easy kids meals chicken casserole recipes. If you are looking for a quick meal use instant rice and canned cream of mushroom soup. Step 2: While rice is cooking, brown hamburger. Drain and set aside. 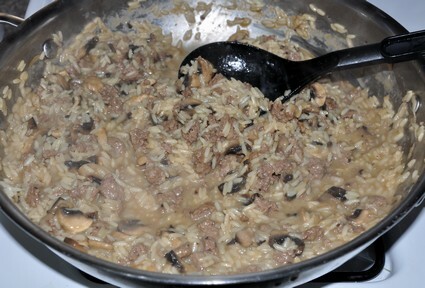 Step 3: Mix cooked rice with browned hamburger. Step 4: Stir in cream of mushroom soup and soy sauce. Step 5: Taste test and add more soy sauce if desired. 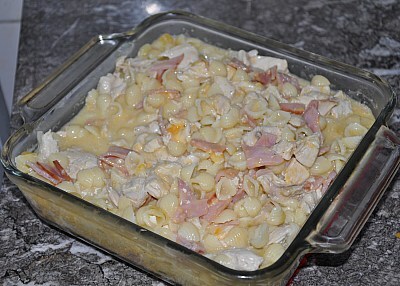 Combine cooked chicken, ham, and cheese together in casserole dish. In separate bowl combine soup and sour cream. Add milk to make a sauce. If you'd like a thinner sauce add more sour cream and milk if you desire thicker add less milk and sour cream. Pour over mixture and bake 350 degrees for 30 minutes. Can also serve with noodles in the casserole on the side. Adult can be boiling noodles while the Chef in Training prepares the sauce. In microwave bowl melt butter. Whip or stir in whipping cream. Cook 3-4 minutes or until mixture thickens and bubbles. Take out of microwave -don't forget to use pot holders! 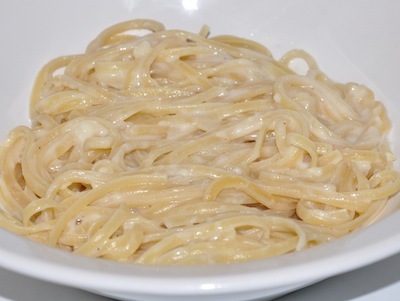 Stir in Parmesan cheese and toss with cooked noodles. Bake potatoes in oven until just soft Lightly mix tuna baby spinach and sour cream together Slice cooked potatoes crossways and halfway down Dollop tuna mix into potato Cook under a hot grill for 2 minutes. Coconut Chicken Balls- an easy and fun recipe for dinner or lunches.